Save some space in your backpack with this 2-in-1 solar flashlight! The space in your backpack allocated supposedly for your flashlight and power bank can now be used for other items. With the 2-in-1 Hand Crank Solar Flashlight and Solar Phone Charger, you’re sure to be lighweight with only one bag! 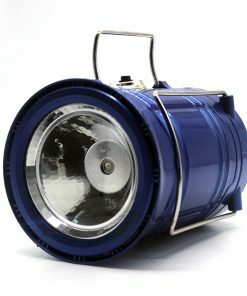 This 3 LED hand crank solar flashlight can light up to a 50-meter distance with high brightness. It is pocket-sized and easy to carry and you’ll never run out of emergency options as it is designed to generate solar and/or kinetic energy. Its phone charger is suitable for almost all mobile phones except for Apple devices and Samsung’s latest releases.